When I say fuss-free, it truly is although the only thing that takes the time is peeling and chopping the pumpkin into small bite-sized cubes. You don’t even have to fry the bacon. Add the pumpkin and bacon into a bowl, drizzle with oil then pop into the oven on a baking tray to cook through and brown. I forgot to take a photo of how easy it is to layer the casserole dish with the bacon, pumpkin, spring onion (you can use regular onion or a leek if you don’t have spring onions) feta and tasty cheese, only takes a few moments. Preheat oven to 200°C, fan forced. 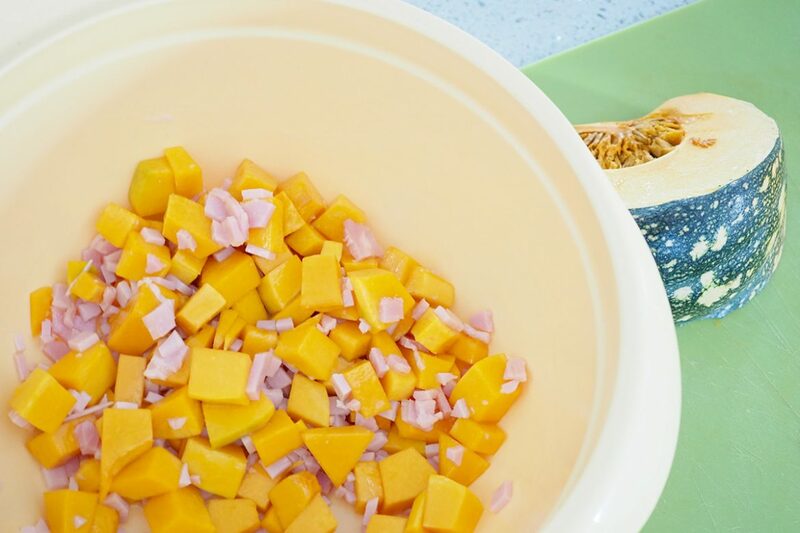 Place pumpkin and bacon into a bowl, drizzle with olive oil and toss to coat. Line a baking tray with a silicone mat or baking paper. Place pumpkin and bacon on tray. Bake for 20 minutes or until lightly golden. Using the same bowl you coated the pumpkin in (to save washing), add eggs and flour, whisk well to remove lumps and combine. Slowly pour in milk, continuing to whisk until stirred through. Lightly grease a rectangular 30x20cm casserole dish. Once the pumpkin has roasted, spoon the pumpkin mix into dish along with spring onions, feta and tasty cheese. Pour egg mixture into dish then lightly sprinkle with salt and pepper. 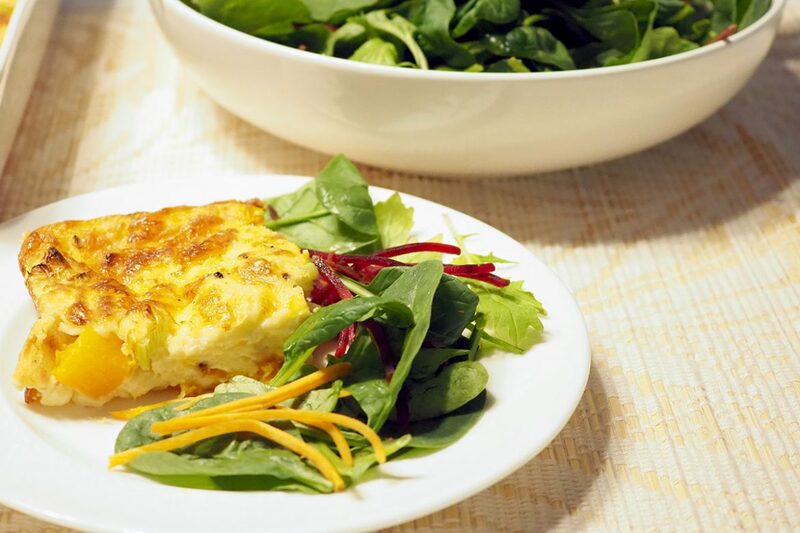 Cover frittata with aluminium foil. Bake in oven for 30 minutes. Remove aluminium foil and continue to bake for a further 10 minutes or until cooked through and lightly golden on top. 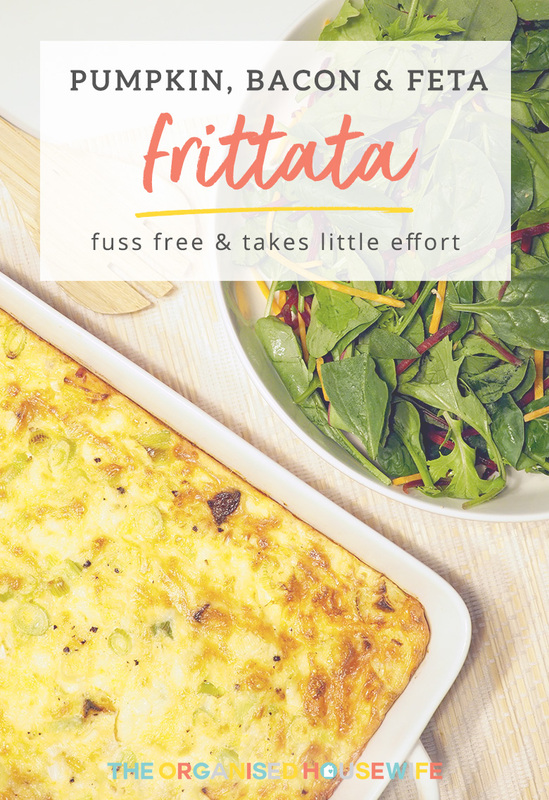 This frittata will make for a great lunch if there are any leftovers the next day. 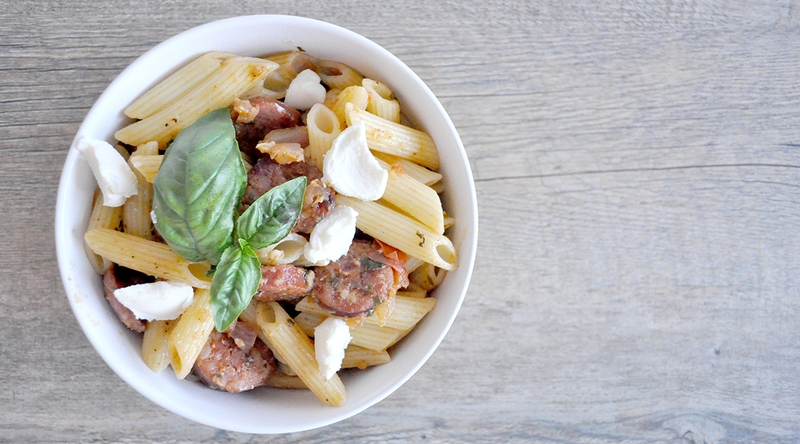 CHORIZO PASTA – A very easy and light chorizo pasta recipe to whip up when you’re in a hurry. This is a really great one pan dish. View recipe here. 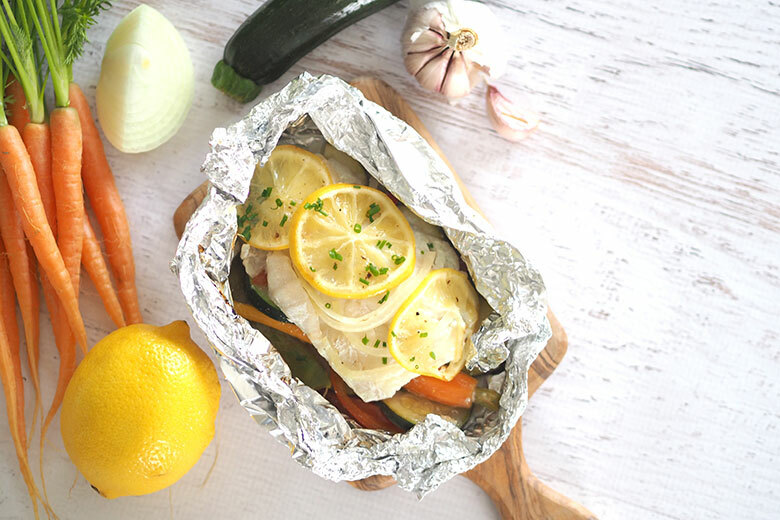 EASY FISH PARCELS WITH VEGETABLES – From start to finish, you will have this light and fresh dinner of flaky baked fish with vegetables on the table in less than 30 minutes. View recipe here. CREAMY AVOCADO SPAGHETTI WITH BACON – Needing a “super fast, haven’t got much time” dinner idea? Look no further. 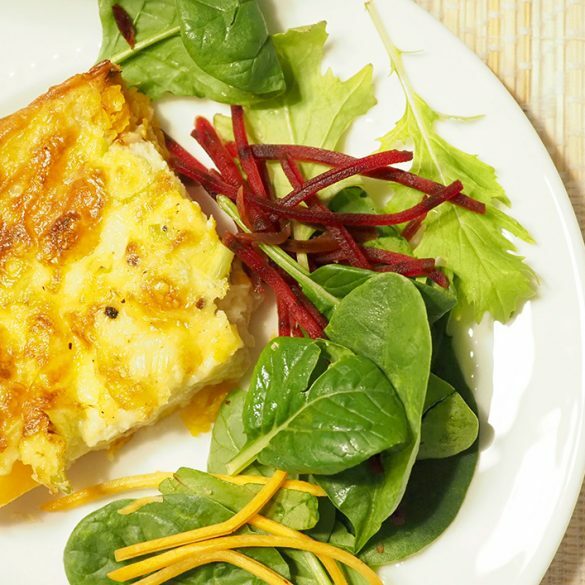 This meal will take you less than 20 minutes to prepare. 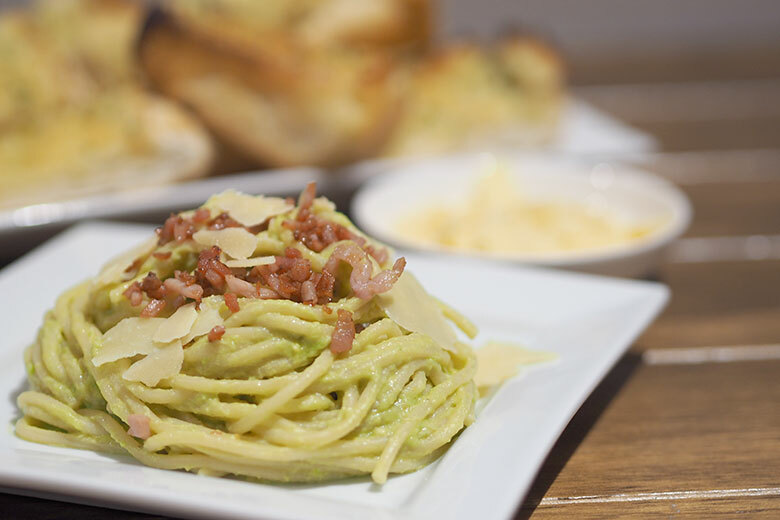 It’s a matter of cooking the spaghetti, browning up some bacon and mixing together the creamy avocado sauce. View recipe here. 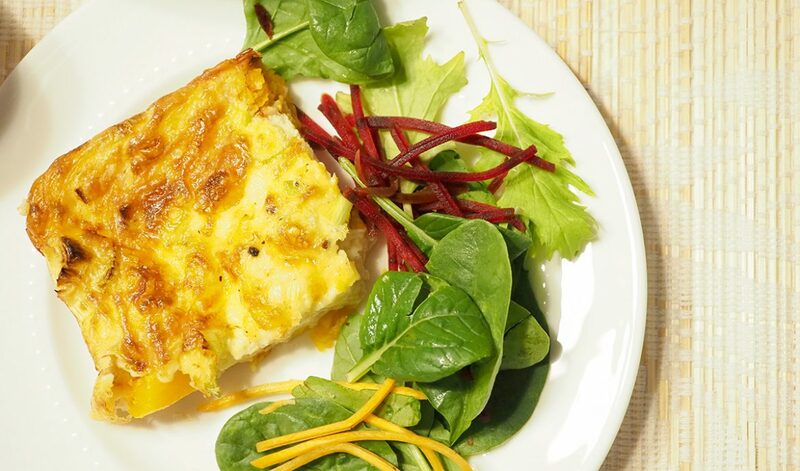 I’ve tried to print the Pumpkin, Bacon & Feta Frittata recipe however it’s coming up with a 404 page not found error.